AWe have experience in a variety of legal areas to meet the needs of individuals and businesses. Our attorneys offer a client-centered approach and work with you to craft the best solution for your legal needs. Our attorneys have a strong track record for getting real results for individuals and businesses in a variety of complex legal matters. To schedule an appointment with a caring, compassionate and knowledgeable lawyer, contact the office of Whitaker Attorneys, LLC. Let us review the circumstances of your case and advise you of your best legal options. AFor your individual or business needs, it’s important to understand your legal options when you have a dispute. Choosing the right attorney depends on a variety of factors. A good attorney understands how important your legal issue is to you. We know that in most cases, clients do not contact an attorney because things are running smoothly. Whether it’s a business, family law matter, estate planning issue or something in between, seeking advice from a lawyer can be a stressful prospect. It doesn’t have to be. Our attorneys can take the time to get to know you and your objectives. We educate you on the law regarding your issue so you can make informed decisions about how to proceed and take control of your circumstances. Additionally, when you call our office, you can expect to receive a response to your question that same day. Over 35 Years Experience Serving Mason and the Ohio Valley. 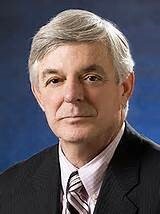 James Whitaker, Attorney, earned his law degree from the University of Cincinnati School of Law in 1972. After dedicated service in the United States Army, he began his legal career with the I.R.S., focusing on estate and gift tax cases. He opened his own practice in 1975 which focused on general practice. In addition to his Ohio license, Mr. Whitaker also holds a law license in the state of Wyoming. Mr. Whitaker carved out a niche in the early part of his practice by representing People’s Building Loan and Saving Co. in real estate matters. As his practice grew so did his areas of focus expanding to: Family Law, Probate/Estate Planning, Personal Injury/Civil Litigation, Domestic Relations, Corporate/Small Business, and Criminal Litigation. He also has experience in the public sector having served as a part time prosecutor for the Cities of Lebanon and Mason, and as the Assistant City Solicitor-Prosecutor. He brings his wealth of experience to his clients with an umbrella of services available to them. Mr. Whitaker served as one of the youngest Presidents of the Warren County Bar Association. During his tenure, he focused on implementing continuing legal education programs to other lawyers in the association. He now serves as a member of the Warren County Bar Association Law Library Board as well as the Ethics and Grievance Committee. He also gives back to the community by serving as a church elder and volunteers as a Board Member of Community Concepts and is a past member of the Board for Legal Aid. A career highlight came when he is was included by the Federal Court in Cincinnati as a Potter Stewart Inn of Court, which was founded to recognize lawyers and judges that rose to higher levels of excellence, professionalism and ethical awareness. Jim Whitaker values his community and family relationships above all. He enjoys the small town, client centered feel that allows him to greet friends, neighbors, and clients while walking down Main Street, Mason. By being involved in the community he has donated to the local high school, shelters, and community forms with either his services or knowledge from his experience. He values each client and community member like they are family.